The Glenlivet, Pernod Ricard's single-malt Scotch whisky brand, has kicked off a global creative review. The process, which is led by AAR, will include advertising in several markets. Publicis London is the incumbent. 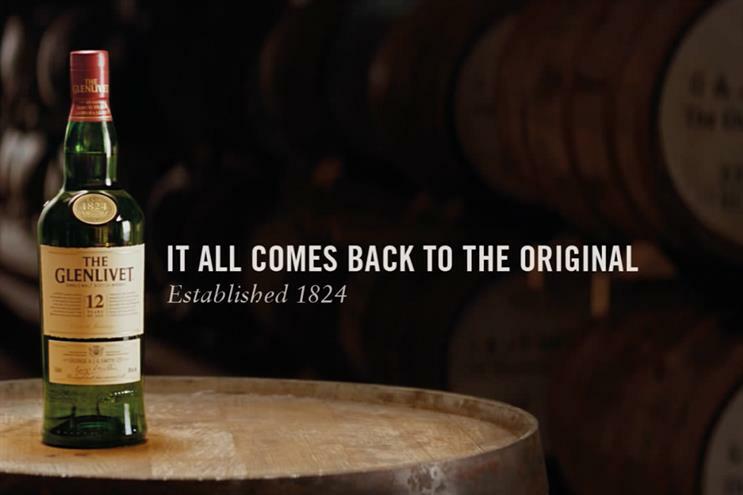 In 2014, Publicis launched The Glenlivet’s first TV ad in the US with a global campaign called "It all comes back to the original". It aimed to capture the brand’s spirit of originality. Last month, The Glenlivet picked B-Reel to handle a UK digital brief after a competitive pitch led by Creativebrief. There was no incumbent. Earlier this year, the brand relaunched its website, created by digital shop Zone, with an increased focus on its most loyal customers. The site was redesigned as a hub for a CRM initiative called Guardians of The Glenlivet, which has about 350,000 members. Lost Boys, now part of DigitasLBi, was appointed The Glenlivet’s social CRM agency in May 2014 but the two parted company the following year.